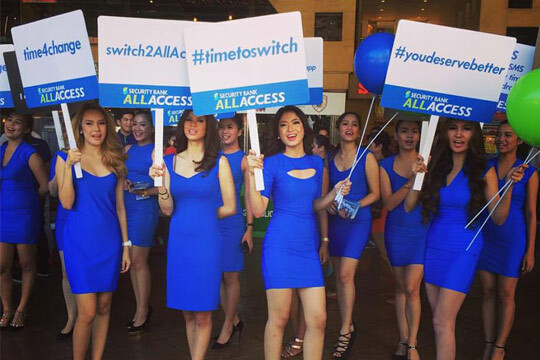 LOOK: Why are these ladies rallying in various malls in Metro Manila? (SPOT.ph) Armed with placards and a purpose, an army of 50 pretty ladies in blue dresses took various malls in Metro Manila by storm. It was a protest rally, a collective cry for freedom from the stresses of banking. €‹The Security Bank All Access account “rally” was staged on November 8 at Glorietta, Bonifacio High Street, Greenhills Promenade, Abreeza Mall and SM City Cebu. For more information on Security Bank All Access account, visit www.securitybank.com/personal/accounts/all-access-checking-account.